A resource can be exhausted and depleted, but an asset is tended carefully and expected to grow. Such a statement begs the question: Do you see your employees as expendable, or are they assets that will serve you and your organization best when they grow? If you see them as assets and communicate that fact, you will be more likely to have success in attracting and retaining the talent you need in today’s employment market. Today’s market is candidate-driven due to low unemployment and an improving economy. This means good candidates are often in short supply, and those you have on your team may be open to better offers. If you understand that your employees are assets, they generally respond well by bringing strong work and increased productivity to your organization. Lifetime employment is rare today. Most employees today recognize, and even embrace, workforce mobility. In order to retain your top performers, offer them the training and opportunities that help them see the value that comes from their current position. Be sure to also keep in mind that employees who feel they have a stake in the long-term success of the organization are motivated to stay with that organization and build their skills to grow with the organization. When you need to bring on new employees, and have worked hard to attract strong candidates, treating them as internal customers can increase the likelihood that they will stay with you for the long term. Putting people first will help ensure that your team members generate genuine enthusiasm for the work you task them with. Through their professional networks, your employees have numerous contacts, any one of whom could become candidates for new openings if they hear good things about your organization. As the internet has become increasingly dominant in our lives, good news from employees and high reviews travel fast. Not only does improving your employee experience and corporate culture improve retention and loyalty, but surprisingly it can also increase innovation and profits. If workers feel pressure to deliver results in the short-term, either because they fear being fired or feel undervalued, they may be less likely to pursue innovations or develop their strategic thinking skills. On the other hand, if workers have a stake in the company’s long-term performance, they should be more likely to innovate and communicate your positive management policies to others. 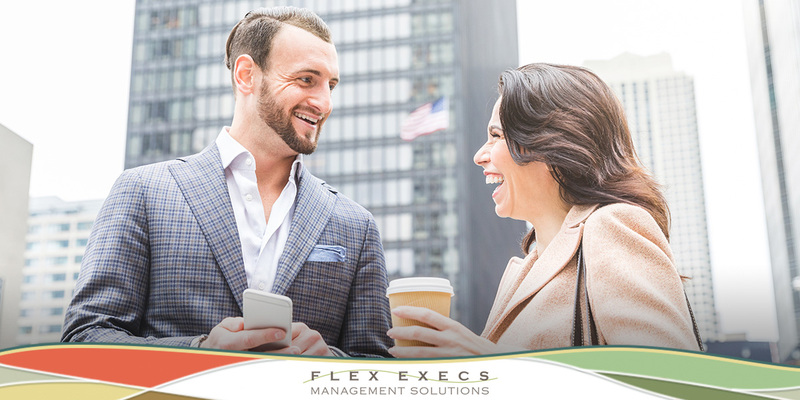 At Flex Execs, our business is helping our clients and job seekers reach their goals in this competitive market. Contact us to learn more about our unique approach to recruitment and hiring. ← PreviousDoes Your Management Style Make You a Boss or a Leader?